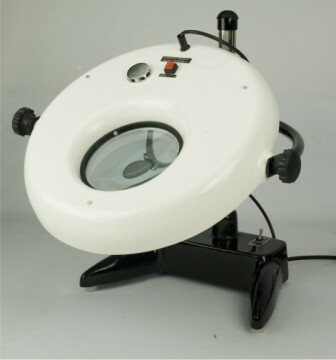 Description: Illuminated Magnifier Table Top (Model Optomag 5).it can be used in various purpose according to application. Magnification : 4 x area magnification and 2 x liner magnification. Lumens : 500 lumens (5,400 lux) of day light/sq.ft.